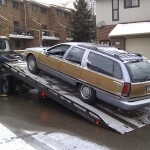 Well, I was headed out of town with the Roadmaster today. I had a small road trip planned with a friend. 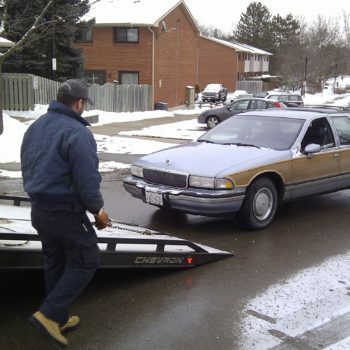 I drove the Roadmaster across town to pick him up and when we came back outside, the car wouldn’t start. It appeared to have lots of battery, but wouldn’t even attempt to turn over. I’ve had this happen with other cars and found something as simple as an ignition switch. 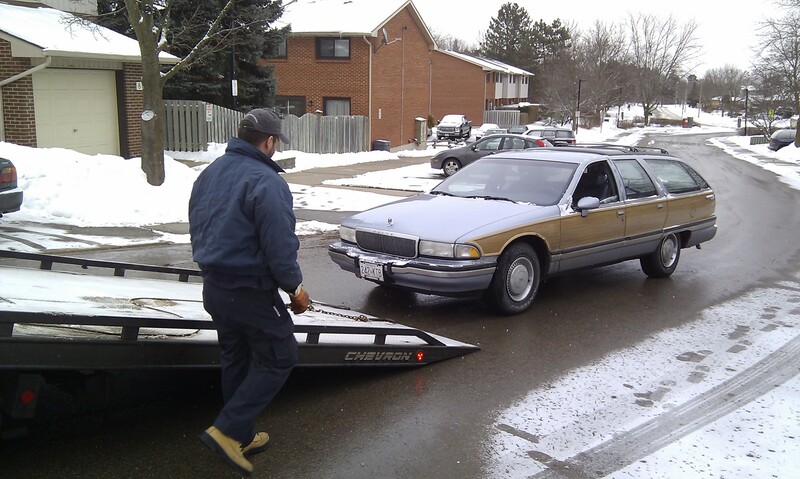 As the Roadmaster was in my friends driveway I needed to get it out of the way to get his car out of the garage so as not to interrupt our road trip. Fortunately a CAA card was handy so I had the Roadie hauled away to my mechanic. It’s a little too cold out there to troubleshoot it myself so I’ll let them take a look at it on Monday. As I sort of expected, once the wagon got a good shaking up on the trip over to the garage, it started again just fine. To avoid a re-occurrence I left the car at the garage anyway. With best of luck, they’ll find a minor problem on Monday and I can put this out of mind.